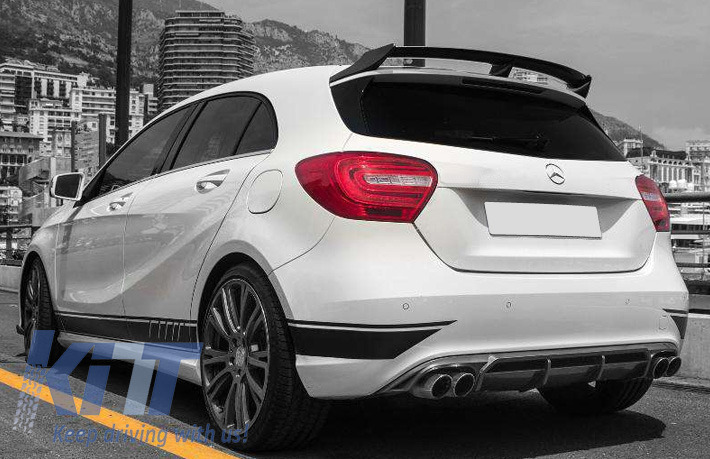 This trunk spoiler is meant to improve aerodynamics and convert your Mercedes into a genuine B Style A45 Model. B Style Trunk Spoiler Boot Lid spoiler is crafted in high quality ABS. Buy it now Trunk Spoiler Boot Lid Spoiler Mercedes Benz W176 A-Class (2012-up) B Style!